N 22° 16' 41" and E 114° 10' 28"
Hong Kong in Central and Western District with it's 7,012,738 residents is a town located in Hong Kong. It's the capital of this country. Time in Hong Kong is now 03:30 AM (Tuesday). The local timezone is named Asia / Hong Kong with an UTC offset of 8 hours. We know of 7 airports nearby Hong Kong, of which 4 are larger airports. The closest airport in Hong Kong is Chek Lap Kok International Airport in a distance of 17 mi (or 27 km), West. Besides the airports, there are other travel options available (check left side). There are two Unesco world heritage sites nearby. The closest heritage site is Historic Centre of Macao in China at a distance of 41 mi (or 66 km). We collected 2 points of interest near this location. Need some hints on where to stay? We compiled a list of available hotels close to the map centre further down the page. Being here already, you might want to pay a visit to some of the following locations: Wan Chai, Central, Kowloon, Sham Shui Po and Wong Tai Sin. To further explore this place, just scroll down and browse the available info. Let's start with some photos from the area. Scattered clouds, gentle breeze, broken clouds. 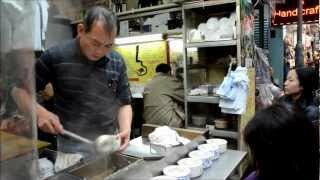 Traditional Hong Kong Fast Food in the Street. 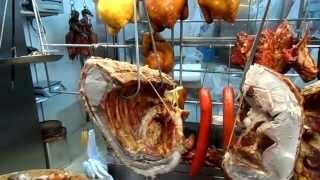 Crispy Pork and Roast Duck from Wanchai market, Hong kong. How to get to Wan Chai MTR to Wanchai Computer Centre. This building has couple floor with easily 50-100 different computer stores. From hard drives, to whole computers, you can find it here. Victoria, Victoria City, or statutorily, the City of Victoria, was one of the first urban settlements in Hong Kong after it became a British colony in 1842. It was initially named Queenstown but was soon known as Victoria. It is often said to be the capital of Hong Kong, and almost all government departments still have their head offices located within its limit. Victoria City expanded over much of what is now Central, Sheung Wan, and Wan Chai. Located at 22.2783, 114.174 (Lat. / Lng. ), about 0 miles away. The Old Wan Chai Post Office is the oldest surviving post office building in Hong Kong. It is situated at No. 221 Queen's Road East, at the junction with Wan Chai Gap Road. Located at 22.2743, 114.173 (Lat. / Lng. ), about 0 miles away. The Wan Chai Pier, or Wan Chai Ferry Pier, is a pier at the coast of Wan Chai North on the Hong Kong Island of Hong Kong. The pier is operated by Star Ferry, and provides ferry services to Tsim Sha Tsui. The pier is near the Hong Kong Convention and Exhibition Centre. Located at 22.2821, 114.176 (Lat. / Lng. ), about 0 miles away. Lee Tung Street, known as the Wedding Card Street by locals, is located at Wan Chai, Hong Kong. Involved in a project executed by the Urban Renewal Authority (URA), was torn down in December 2007. The demolition is seen by many as an irretrievable detriment to the cultural heritage of Hong Kong. 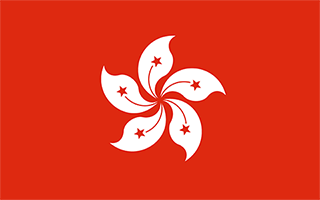 All interests of this street are now being resumed and reverted to the Government of the Hong Kong Special Administrative Region since 1 November 2005. Located at 22.2756, 114.172 (Lat. / Lng. ), about 0 miles away. The Family Court of Hong Kong is a court (part of the District Court, which mainly deals with cases relating to divorces and welfare maintenance for children. Located at 22.28, 114.172 (Lat. / Lng. ), about 0 miles away. The District Court is the lower court system in Hong Kong, having both criminal and civil jurisdictions. It is located in the Wanchai Law Courts, Wanchai Tower, 12 Harbour Road. In the past there were six district courts, namely Victoria, Kowloon,,, and, before being amalgamated and moved to the same location in March 1991. Gloucester Road /ˈɡlɒstər/ is a major road in Hong Kong. It is one of the only roads in Hong Kong with service roads. The road was named in 1929 after Prince Henry, Duke of Gloucester, to commemorate his visit to Hong Kong that year. Located at 22.2794, 114.175 (Lat. / Lng. ), about 0 miles away. Southorn Playground is a sports and recreational facility in the Wan Chai area of Hong Kong. It comprises a football field, four basketball courts, and a children's playground. Southorn Playground is surrounded by Hennessy Road in the North, Luard Road (West), Johnston Road (South) and Southorn Centre (East). It has been Wan Chai's main recreational area since the early 1970s. Located at 22.2769, 114.172 (Lat. / Lng. ), about 0 miles away. Wan Chai Sports Ground is located in Wan Chai North, Hong Kong Island, Hong Kong, with the capacity 2,000. It is a government-run sports ground primarily used by local schools for sports day and other athletic activities. Situated by the Victoria Harbour, it is at a convenient location next to Hong Kong's Central business district, Wan Chai, and the shopping district of Causeway Bay. Located at 22.2813, 114.178 (Lat. / Lng. ), about 0 miles away. 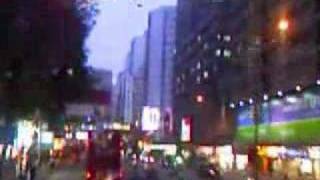 Thomson Road is a road in Wan Chai, Hong Kong Island, Hong Kong. It was named on 30 October 1931 after Alexander MacDonald Thomson, a Colonial Treasurer of Hong Kong from 1899 to 1918. It has been separated into two sections since Southorn Playground was built in 1932. Located at 22.2771, 114.171 (Lat. / Lng. ), about 0 miles away. 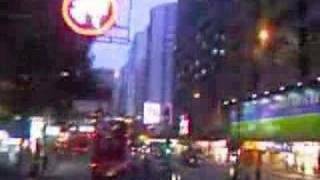 Tonnochy Road is a road in Wan Chai on the Hong Kong Island of Hong Kong. It runs from Hennessy Road, across Lockhart Road, Jaffe Road, Gloucester Road, to Hung Hing Road near Victoria Harbour. The wide Gloucester Road divided the road north and south. Gloucester Road has a flyover to turn into the road at the north. Located at 22.2814, 114.177 (Lat. / Lng. ), about 0 miles away. 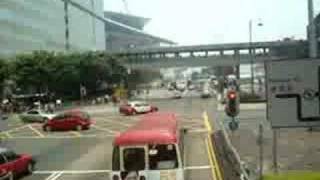 Lockhart Road is a road spanning the whole length of Wan Chai from east to west on the Hong Kong Island of Hong Kong. It begins at Arsenal Street in the west and ends in East Point Road in East Point. Located at 22.2782, 114.173 (Lat. / Lng. ), about 0 miles away. Ruttonjee Hospital is a hospital in Wan Chai on Hong Kong Island in Hong Kong. It is affiliated with the Li Ka Shing Faculty of Medicine, at the University of Hong Kong, and provides clinical attachment opportunities for the university's medical students. Located at 22.276, 114.175 (Lat. / Lng. ), about 0 miles away. The former Wan Chai Market building was constructed in 1937. It is located at 264 Queen's Road East, at Wan Chai Road crossing, opposite Stone Nullah Lane in Wan Chai, Hong Kong Island. It is a Grade III Historic Building. Its architectural style is influenced by Streamline Moderne (also known as Streamlined Moderne or Art Moderne) architecture, a popular style of building of the 1930s. It is often erroneously referred to as a Bauhaus-style building. Located at 22.2746, 114.174 (Lat. / Lng. ), about 0 miles away. Tang Shiu Kin Hospital is a hospital in Wan Chai on Hong Kong Island in Hong Kong. It was opened in 1969 to replace the Eastern Public Dispensary and other clinics on Hong Kong Island. The hospital merged with Ruttonjee Hospital in 1998 to form one hospital and is a critical centre for emergency and vehicular accidents. 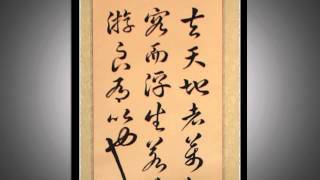 It was named after its benefactor, the late Sir Tang Shiu-Kin, Kt, C.B.E. , LL.D. O.S.T. (Japan), J.P. , KStJ, a famous Hong Kong philanthropist. Located at 22.2754, 114.178 (Lat. / Lng. ), about 0 miles away. Green House is a block of 10 tenement houses located in 1-11, Mallory Street and 6-12 Burrows Street, Wan Chai, Hong Kong. It is named from the green colour painted on the external walls of the building. It is one of the few remaining tong-lau of the balcony type in Hong Kong. Because of the historic significance, the houses are listed as Grade II historic buildings. Located at 22.2772, 114.177 (Lat. / Lng. ), about 0 miles away. The Grand Hyatt Hong Kong is a luxury Hyatt hotel in Hong Kong, and the Asian flagship of Hyatt International. It has been described in a New York Times travel article as a "world-famous prestige" property. 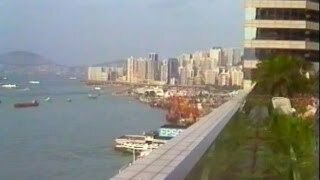 It opened in 1989 and is located at 1 Harbour Road, Wanchai, adjacent to the Hong Kong Convention and Exhibition Centre. Located at 22.2811, 114.172 (Lat. / Lng. ), about 0 miles away. For the company, see Shui On Land. Shui On Centre is a 35-storey Grade A office building on Wan Chai's waterfront, in Hong Kong. The building was completed in 1987. Nearby are the Hong Kong Convention and Exhibition Centre and Grand Hyatt Hong Kong. Located at 22.2802, 114.171 (Lat. / Lng. ), about 0 miles away. Wanchai Tower, located in 12 Harbour Road, Wan Chai North, Hong Kong, is home to the District Court and government offices. Its neighbouring buildings include Immigration Tower, Revenue Tower and Shui On Centre. Built in 1985 by the Architectual Services Department and penned by K.M. Tseng. 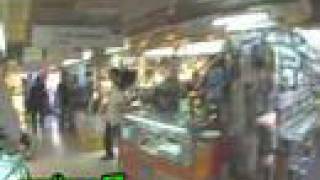 Amoy Street (廈門街) is a street in the Wan Chai area of Hong Kong Island, Hong Kong. It connects Johnston Road in the north to Queen's Road East in the south. Amoy is an old name of the Chinese city of Xiamen. It has been described as "shy and retiring" by Time Out because it is a cul-de-sac with steps at one end. Located at 22.2757, 114.172 (Lat. / Lng. ), about 0 miles away. 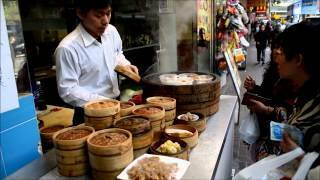 Swatow Street is a street in the Wan Chai area of Hong Kong island, Hong Kong. It intersects with Queen's Road East and Johnston Road. It is named after Shantou. Joy Hing's Roasted Meat is a Cantonese char siu restaurant in Hong Kong, founded in the later part of the Qing Dynasty. The restaurant, listed as "Highly Recommended" by the Michelin Guide, named as the best Char Siu restaurant in town by Eat & Travel Magazine and online pollings in the biggest food critics website Openrice and described as "a Hong Kong food we can't live without" by CNN, is characterized by its long queue all day long and customers from grassroots to superstars. Located at 22.2784, 114.177 (Lat. / Lng. ), about 0 miles away. ABRS Management and Technology Institute is a Hong Kong based continuing education and training institute established in 1990. and registered with the Education Bureau since 1994. Over 20,000 students in Hong Kong have attended courses offered by ABRS since it began operating. Located at 22.277, 114.176 (Lat. / Lng. ), about 0 miles away. Novotel Century Hong Kong is a 4-star hotel in Hong Kong. It is located at 238 Jaffe Road, at the junction of Jaffe Road and Steward Road in Wan Chai. Novotel Century Hong Kong is a convention and business hotel located close to the Hong Kong Convention and Exhibition Centre. It is equipped with business and meeting facilities, three restaurants, a bar, health club, swimming pool, sauna and a range of leisure facilities. Located at 22.279, 114.177 (Lat. / Lng. ), about 0 miles away. Great Eagle Centre (鷹君中心) is a 35-floor office building located at 23 Harbour Road in Wan Chai North, Hong Kong. It was built in 1983. Located at 22.281, 114.175 (Lat. / Lng. ), about 0 miles away. These districts belong to Hong Kong. These are districts that are close by, but belong to a different city than Hong Kong. These are some bigger and more relevant cities in the wider vivinity of Hong Kong. Starting at: 03:20 am (03:20). Starting at: 03:30 am (03:30). Starting at: 04:15 am (04:15). Starting at: 02:30 am (02:30). These are the most popular locations in Hong Kong on Tripmondo.